K2T Acronym for www.keen2travel.net.au This is my place, a place where I note down achievements I have reached, Things I have done, places I have visited, Food & Booze I have had home and away. I am a accumulator of flyer miles, buyer also if the price is right. My goal is, if I'm going to travel overseas I want to be doing it up the pointy end of the airplane. I am a traveler and I do it on a budget. Way back in June Jetstar had airfares out for about A$500 return which included checked luggage and credit card fee. A short think, I like Japan - People, food, culture & countryside, I took up this offer. Part of the catalyst was I always tell my mother about this country and whats there and she seems to always hear about it and that's as far as it goes. My farther has no interest in going, a quick decision and a ticket was purchased. The stars must have aligned as cheap fares from Adelaide to Cairns also came up so that go mother to Cairns for the little adventure at a good price as well. I travel independently but in the last few years I also do it well organised - all accommodation and travel is prearranged and booked before I leave. So when we get to our destination there is no time deciding where and when to stay saving a hugh amount of time particularly if your time is limited. We were set to travel in November. All internal accommodation is booked mostly Ryokans some with Onsens (one of those little pleasures, I look forward to in Japan). some with meal plans (breakfast and dinner). These Ryokans are small and family run so real Japanese home cooking. I used this website to plan all train travel : http://www.hyperdia.com. And it is a brilliant tool. 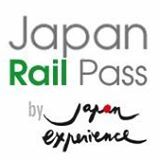 I worked out the cost of all travel we would do including reservations and I found that it was nearly the same as a 7 day ordinary JR Pass. and they are on there way..
which was not really attempted just carded as I was at home all day.!!! * Elimination of the 24-hour purchase rule and an extension of the date to register by. Greetings and thank you for your early support of the relaunch of Milepoint >> InsideFlyer. It seems you like what we are doing for our members so please encourage us to do more. There was some confusing instructions for this program at its beginning and for those of you who clicked to the LifeMiles website, you know that the confusion started there ... we were just the messengers! SO, InsideFlyer worked almost all day on Monday to negotiation some better terms for ours members. Effective immediately LifeMiles has agreed to rescind the 24-hour purchase rule. This means that you will have until October 12 to pay for the miles you are interested in. This is a bonus for members like me that are waiting for the loan papers at the bank to come through to pay for these miles. AND we have more good news. We were able to get an extension of the date for which you have to register with us for this promotion. Initially they wanted us to only make available registration for two days. We argued the point that with all that was going on with the relaunch that we thought it fair to have a total of four days which they finally agreed to and now we have been able to get them to six days. If you know a member (or a fellow traveler >> this is your time to be a best friend to someone) who was on the fence for purchasing these miles, please let them know that through Thursday they can register with us to purchase LifeMiles and still be eligible for the discounted Star Alliance partner awards. For your patience, things got better for you. As for payment, once LifeMiles has you in their system as registered by InsideFlyer (we send files twice a day to LifeMiles), they will contact you with confirmation and payment instructions. InsideFlyer does not get involved in that part of the promotion. We hope this helps clarify and update a few things for you. As always, we stand by to assist you and feel free to contact us at any time about any thing. How will it work out with the Australian Dollar the way it is? LifeMiles are bought in US dollars so it does hurt with the conversion right now. #2 - You must purchase between 100,000 & 150,000 LifeMiles. #4 - You must be a registered member of LifeMiles by Tues Oct 6 to be eligible. There are other terms and conditions on Lifemiles (*I have included the link below) which make it a little confusing as to the time limitations on purchasing. www.keen2travel.net.au. Awesome Inc. theme. Powered by Blogger.